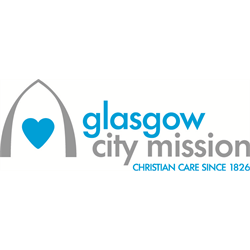 Glasgow City Mission (GCM) is a Scottish Christian charity and the world&apos;s first City Mission. Since 1826, we have been showing compassion to vulnerable people and fight against poverty and disadvantage in Glasgow. Do you love Jesus and desire his Kingdom justice for the marginalised and disadvantaged? Do you have a love for the city of Glasgow and its people? Are you passionate about seeing real transformation and change in people’s lives and seeing communities renewed? God has been faithful to Glasgow City Mission for almost 200 years and we find ourselves at a time of new beginnings and exciting change. We are looking for an inspirational and visionary Christian leader to join our team in this exciting new chapter. We are excited to be adding this brand new role to our team at the Child and Family centre in Govan. Our project in this area of Glasgow is growing and we wish to bring additional focus to work with boys, dads and other male carers in the community. We are looking for someone with an understanding of issues in family ministry and particularly in how they relate to men and boys. Experience of working with children and parents in a community setting is essential, as is an ability to develop supportive working relationships with fathers.